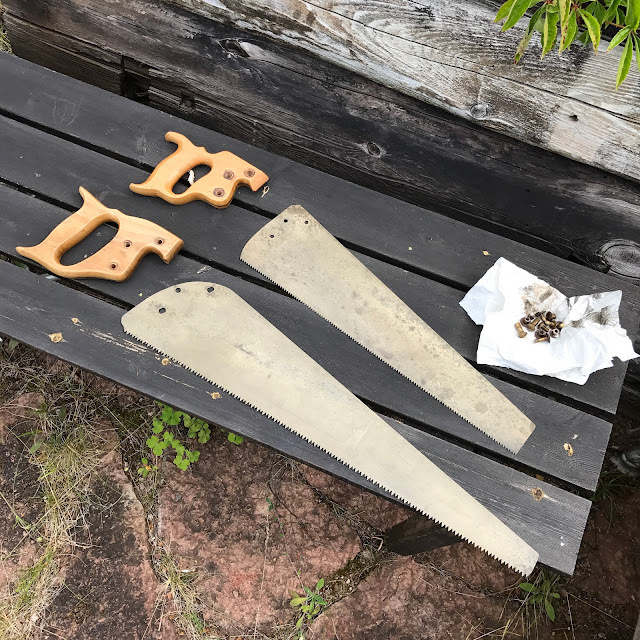 Something must've happened to my local fleamarket - I've scored several quality hand tools lately. 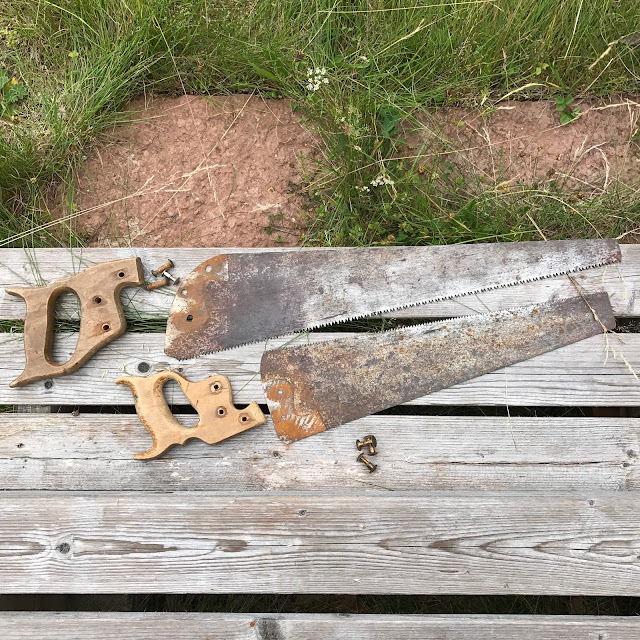 These two saws I got for just 50 kronor (4 quid or 6 dollars). The smaller one is filed for ripping and the larger is for cross cutting. They were rusty and the handles are grimy and a bit nasty to touch. At least the screws came out effortlessly. 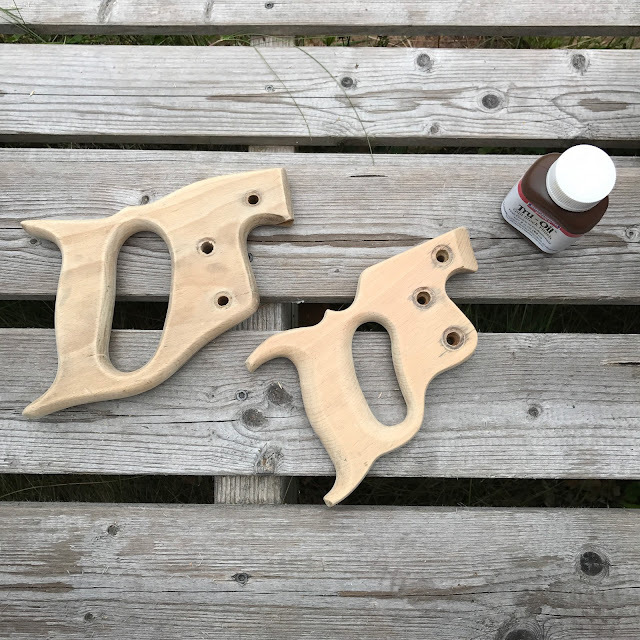 I scraped off the old finish and will use Tru-oil. The smaller one looks better and is more comfortable. I put the blades in vinegar over night, this was supposed to get the rust off. 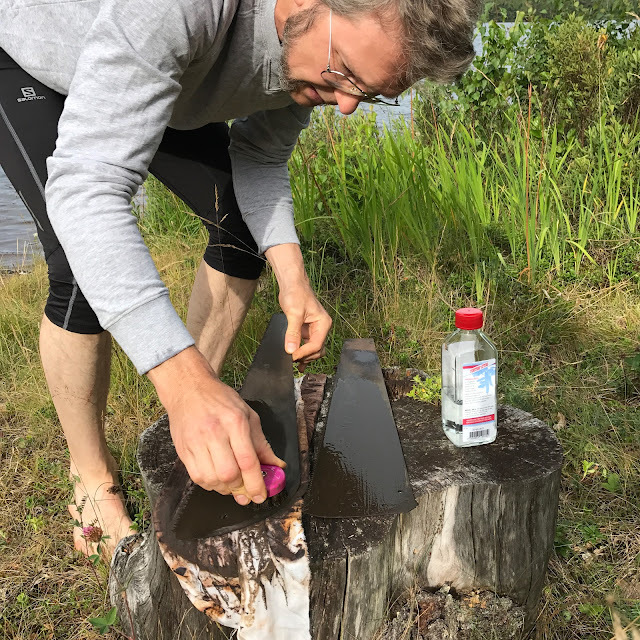 Scrubbing with a brass brush, I saw that it had worked. Then I rinsed them in the lake and scrubbed some more. This is were we're at, two coats of oil on the handles and a light machine oil on the blades. The etching on the smaller saw appeared but was a bit damaged by the vinegar. The saw is English, I recognized the stamp but I can't make the name out. What's that I hear you grumble? Not enough ukulele action? 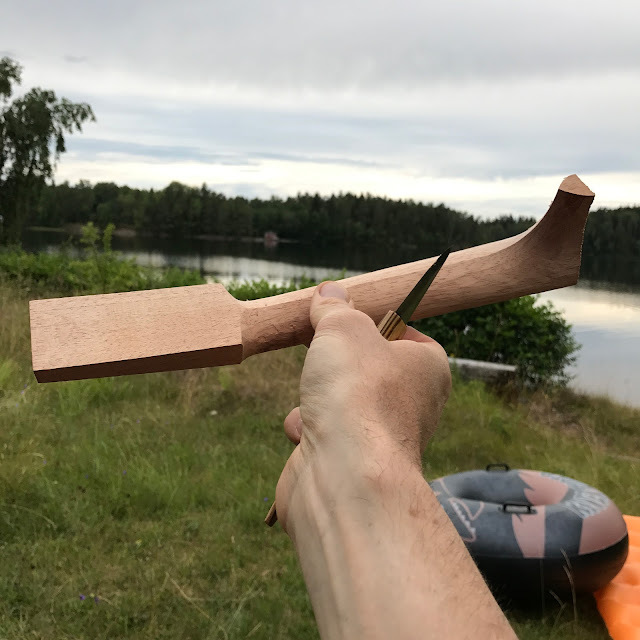 Okay, have a look at this cedar neck. More to follow, I promise. Travel uke at full speed!